Some people will probably say the title of this post is tautological, but all things are relative. On Everest this year there was an elderly Italian climber who, justified or not, had a reputation for being a bit of a thief, happily using other people’s tents high up on the mountain and stealing their food, fuel and oxygen. He was identified to our Sherpa team at base camp, and they made a point of remembering his face and warning his Sherpas that if any of our equipment went missing they would be paying a visit. When I first met him on the trail I felt sorry for him, though. He had a faraway, forlorn look in his eyes, and seemed frail and gentle. He appeared far too old to be doing this sort of thing and I thought somebody really ought to be looking after him. He turned up at Advanced Base Camp from time to time begging for oxygen, but nobody wanted anything to do with him. He was climbing with one of the low budget expedition operators with a such a bad reputation for having clients die that some jokers said the reason they were so cheap was because they only sold one-way tickets. We all assumed he was going to die up there too, but if I thought he would be better off being wheeled around corridors by a nurse, with a blanket tucked over his knees, he proved me wrong. 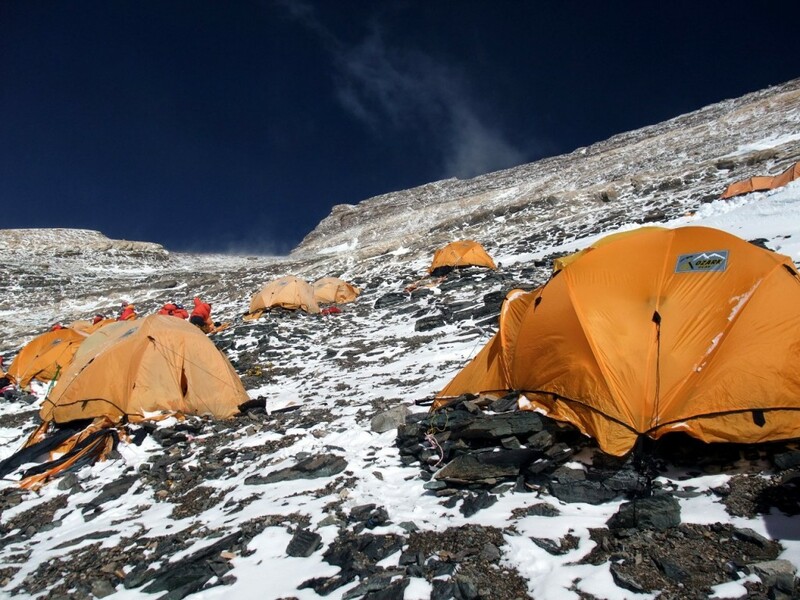 While I was down at base camp recovering from my summit push, relieved that I didn’t have to spend very long at Camp 3 in the rarefied atmosphere of 8200m, he was spending four nights up there weathering out a storm without supplementary oxygen, determined to make a bid for the summit. He spent so long up there his name even started appearing on official casualty lists, but thankfully Tibetan rescuers had other ideas and coaxed him down to live another day. There’s an old Indian proverb: “You have hairs growing out of your arse but still you have no wisdom”. His stamina was inspirational for a man of his age and something we all could wish for, but his years of experience apparently hadn’t given him the judgement you might expect. If the Italian climber wasn’t mad he was certainly a little eccentric, but on the fruitcake scale he barely merits a few raisins. 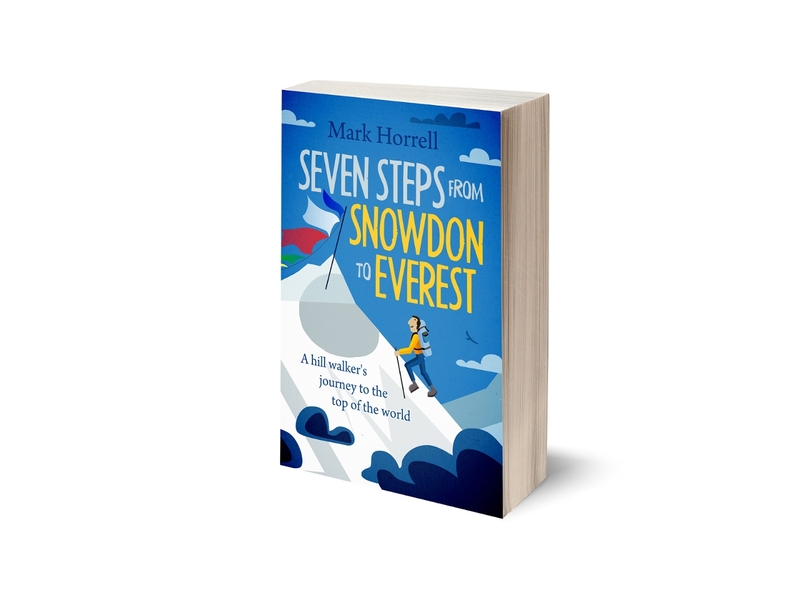 Climbers of his mould, who have such a feverish determination to reach the summit that it overrides common sense, have been around for years and many of them aren’t so lucky. George Mallory is regarded as a hero for disappearing into the mist on Everest in 1924, but at the very least his decision to press on when others would have turned around would these days be regarded as a bit silly. Few can compare with Maurice Wilson, the Yorkshireman who in 1933 had the brilliant idea of climbing Everest by crash landing a plane into the side of it, getting out, dusting himself down and making the remaining few yards to the summit on foot. The fact he could neither fly nor climb did nothing to temper his enthusiasm for this amazing plan. He bought a plane, christened it with the cheesy name of Ever Wrest and started taking flying lessons. He even managed to fly it all the way from England to India before he had to abandon the crash-landing idea when he was refused permission to fly through Nepalese air space. No problem, though. He hired some Sherpas and walked to Everest through Tibet. But then he discovered his lack of climbing skills posed a bit of a problem when it came to getting up the North Col Wall. It didn’t help that he hadn’t thought to bring crampons. 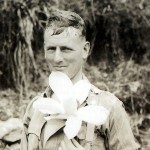 Realising he was mad his Sherpas abandoned the expedition, and his body was found by the legendary mountain explorer Eric Shipton the following year. But the world’s maddest mountaineer lived to the comparatively ripe age of 72. 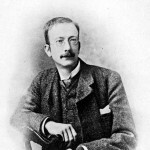 Edward Alexander Crowley was born in 1875 to wealthy parents who were followers of the obscure Christian sect the Plymouth Brethren, who believed the Bible should be taken literally. From an early age he rebelled against their puritanical ways by changing his name to Aleister, giving himself the soubriquet “The Great Beast 666” and joining the Hermetic Order of the Golden Dawn, a secret organisation of occult magicians. In 1902 he joined an expedition to climb K2 in Pakistan’s Karakoram, where he quarrelled briefly with expedition leader Oscar Eckenstein at the village of Askole over whether he should be allowed to bring his multi-volume occult library with him up the Baltoro Glacier. Just beyond Concordia he suffered a brief moment of sanity when he identified the feature now known as the Abruzzi Spur (and K2’s standard route) as the best line of approach. Unfortunately the expedition descended into farce when he threatened team mate Guy Knowles with a revolver and Knowles kneed him in the groin in retaliation. He returned to the Himalayas in 1905 to lead an expedition to climb Kangchenjunga, but his reputation as a mountaineer suffered irreparable damage after four of his companions were killed in an avalanche while descending a snow slope Crowley had cautioned them to avoid. Instead of descending to help, he rolled over in his tent and went back to sleep. The following day he descended past the bodies without bothering to look for them. “A mountain accident of this sort … I have no sympathy [for] whatsoever,” he later wrote. With his mountaineering career in tatters, Crowley had the consolation of occult wizardry to return to, as well as becoming father to young Nuit Ma Ahathoor Hecate Sappho Jezebel Lilith Crowley. During three nights in Cairo, Egypt, in 1904, a discarnate being called Aiwass had dictated to him the entire text of the Liber al vel Legis (The Book of Law), which meant he had the great responsibility of being high priest and keeper of the Holy Books of Thelema. He died in 1947 after his doctor discontinued the morphine prescription for his asthma. The doctor also died less than 24 hours later, reportedly after his patient put a curse on him from beyond the grave. 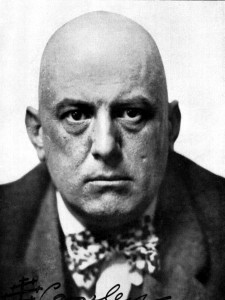 As mad mountaineers go, I reckon Aleister Crowley is going to take some beating, but perhaps you know someone even madder? If so, do please share them with us. 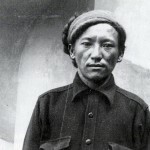 Super story Mark: May I add to your list the Canadian Earl Denman who attempted to bandit his way up the mountain in 1947 with $150 and two sherpas; one being Tenzing Norgay. He later wrote a book about the misadventure called Alone to Everest. Cheers! This rang a bell, Dean, and I was trying to remember where from. He’s mentioned as a footnote in Nick Heil’s “Dark Summit”, which I read recently. Heil described Denman’s adventure as a “Wilsonesque climb” (as in Maurice above) but goes on to point out that he wasn’t quite as mad because he intended climbing with his Sherpas, unlike Wilson, and also because he did manage to return alive. That was it though, a single paragraph which didn’t shed any more light on just how mad an undertaking it was. 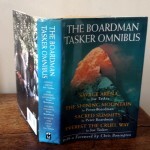 Thanks for pointing him out to me – I like all this Himalayan mountaineering history and will delve into his story a bit further!